Upgrade from your current car to a new vehicle, at little to no additional cost. New and latest body style and look! Ready for a new car but still paying off your current car? There can be lots of reasons you are looking to upgrade: repair costs, need a larger vehicle for your growing family, or looking to downsize into a more economical model. Maybe its time to upgrade to a new car. With Royal Upgrade, Vehicle Exchange Program, we can help you upgrade to a new vehicle sometimes with the same or lower monthly payment as your current car. 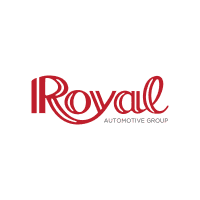 Royal has a growing need for clean, well-maintained, reliable previously owned vehicles. This allows us to offer you above average trade value for your vehicle. Getting more for your vehicle, along with excellent manufacturer incentives and historically low interest and lease rates, may allow you to keep a similar or lower monthly payment on a new vehicle. Your eligibility to upgrade may occur well before paying off your vehicle! Drive away in a new car! Call or visit any Royal showroom today to get started!